Recipients of Social Security Disability payments rely on their benefits to pay their bills, to keep a roof over their heads, to put food on the table, and live their lives. The benefits provide critical economic support to those unable to work. The extent of just how vital Social Security benefits can be was evidenced in a news story just this past week from New York. There, an individual living on Long Island suffered a heart attack and was unable to return to his career. 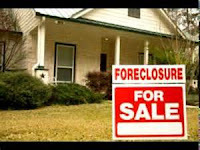 A homeowner, the man was responsible for paying his mortgage, but faced foreclosure after he defaulted on his loan from the bank. With nowhere else to turn for support and unable to work due to a medical condition, he applied for Social Security Disability. However, the story is far from simple or straightforward. In fact, it reflects the need for an experienced advocate to help shepherd an application, claim, or appeal through the Social Security Administration. After submitting his application for benefits, the man was initially denied. He appealed. He waited. And he waited some more. Eventually last December, after four years, he won his appeal and started getting benefits. Owed tens of thousands of dollars in back payments, the man was able to pay off his debt to the bank and avoid foreclosure, just in time. Social Security claims and appeals, as the story shows, can be immensely complicated, long and drawn-out processes. Given how important benefits are to recipients, it is helpful to have an attorney evaluate your claim, prepare your application, and—if necessary—represent you on appeal. Stephanie Merritt Driscoll is an attorney in Southern California who focuses her practice on SSDI and SSI claims and appeals. If you are applying for or appealing a denial of SSI or SSDI, contact Stephanie online or at 949-359-1370 for a free consultation.